My name is Jennifer. I am a recovering foodaholic. Recently I’ve had a hard time feeling satisfied after a meal. Before I finish eating, I’m already looking forward to the next snack or meal. On the drive home from work, I’m thinking about what I can eat for dinner. Or if tonight, maybe we can have a cheat meal, off program. For the third time in a week. My drug of choice lately: pizza. Perhaps I’m stressed. Or bored. Or sad. Or angry. Or just lazy. Some days, eating is the only thing I look forward to. I just love how I feel when I eat. I feel warm. Sometimes I can feel the energy spreading to my fingertips and my toes. I feel either energized, or completely relaxed and calm. Unless I go overboard. Then I just feel sick and mad at myself. If that ain’t a drug, I don’t know what is. I need to replace that feeling with something else. Hmm… Like going to the gym. I get a fantastic buzz at the gym. And afterwards, I get to have time in the steam room. Then I take a long, hot shower. I am warm. Relaxed. Calm. I heard in a recent Lindora webinar that, “It’s okay to get comfort from food — just as long as you’re eating the right things.” Most of the time I feel great after eating a meal on program: a salad with veggies, a protein, and a fruit. But sometimes… well, nothing but a big bowl of buttery parmesan popcorn will do. The key is not to make it a daily thing. It needs to be the exception, not the rule. Realizing that I’m a food addict certainly makes me less judgmental of those who struggle with drugs, alcohol, prescription meds, etc… Who am I to judge? My drug just happens to be socially acceptable and takes a lot longer to ruin my life or kill me. Basically I’m leaning on the wrong thing, or taking the easy way out instead of dealing with emotions. I need God’s help in this battle, that’s for certain. I just need to allow Him to help me. 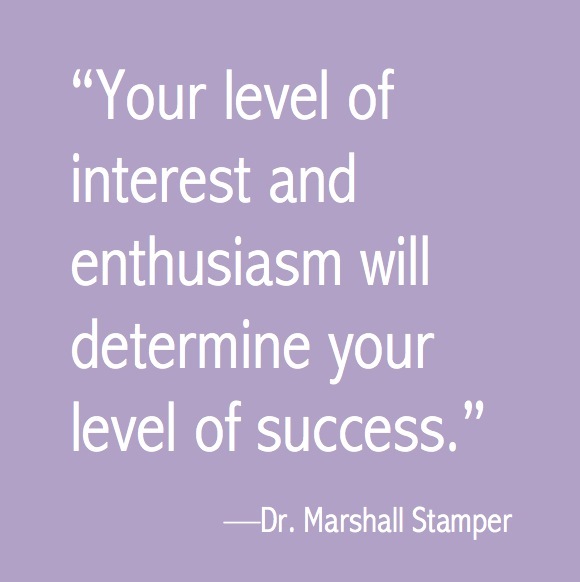 Your level of interest and enthusiasm will determine your level of success. Learn to recognize and eliminate your defensive barriers. Follow the maintenance program for lasting success. The “essential” that resonates the most with me is #2. Interest and enthusiasm toward exercise is growing. I love working out at the gym and especially love that my husband and I are workout partners. We’re also looking for ways to get exercise beyond the gym. I’m looking into local places to hike. We’ll be participating in a local Walk to End Alzheimer’s event next month in memory of my Mom, who passed away four years ago from this despicable disease. My interest and enthusiasm for food comes and goes. For example, salads were starting to bore the heck out of me. I was starting to skip them. Bad strategic move. Salads take a long time to eat and help to fill me up. So this past week I switched from having romaine lettuce twice a day to mixed greens. The small but important change was much needed. Mixed greens, pine nuts, balsamic vinegar and olive oil = yum. This blog is playing a huge role in maintaining my level of interest and enthusiasm. When I wonder why I’m spending so much time typing up the food I’ve eaten (when I’ve already kept track of it in a small notebook I carry), I remember how reporting my actions to the blogosphere is providing me with critical accountability. The blog also has me thinking about things in a way I wouldn’t otherwise. How can I help others with what I am learning? How can I learn from what others are doing? I am over 20%—one-fifth of the way—toward my goal of losing 100 pounds, but I am constantly thinking about maintenance. I have lost a lot of weight before and gained it all back and then some. I want to focus on a permanent, lifetime change, not just how long it’ll take me to lose 100 pounds. I am inspired by a blog called Former Fat Chik: 135 lbs lost! by Jess. She learned so much during her weight loss and now she’s sharing it with the rest of us. She has clearly found a huge new passion in life: nutrition and exercise. She is still enthusiastic and interested in food and fitness, and I imagine it’s her enthusiasm that keeps her successful in maintaining all her hard work. What keeps you interested and enthusiastic about losing weight and staying in shape? Here is my menu for the past week. Went off track a few times; we’ll see what that does to my weigh in on Tuesday. I’ve noticed that if I go off program, if I stay away from junk food, I still feel great and it doesn’t impact my weight loss too negatively. I feel fantastic; I know I’m making progress. 8pm Off Program at Black Angus ? Bread/buttter, top sirloin steak, fried shrimp, orange slices, salad with carrots and croutons, dipped in dressing ? Dessert: Chocolate Chip Cowboy Cookie with ice cream on top – shared with my husband ? Exercise: No gym. Felt ill; went to be early.